As part of a private wind company about a decade ago, he joined a small team that deployed a U.S. Department of Energy loan to demonstrate how energy storage could stabilize a series of separate grids on the Hawaiian Islands. That success with storage in an “exotic” setting helped to bolster confidence in batteries, Jacobs said. In tandem, DOE backed research that revealed to wholesalers such as PJM Interconnection, California ISO and ISO New England how rapidly batteries and other storage technologies—flywheels, pumped water systems and electric vehicle chargers—could be tweaked to respond to the grid’s ever-changing supply and demand for electrons. Pennsylvania-based PJM was particularly aggressive. By 2012, the grid operator in 13 states and Washington, D.C., was showcasing a 1 MW battery energy storage demonstration at its headquarters. That proved to be a breakthrough. Once operators recognized storage’s value, changes to policies and market rules followed. Indeed, PJM and California ISO are responsible for roughly two-thirds of utility-scale battery storage power capacity installed in 2016, according to data compiled by the Energy Information Administration. California is on track to reach 2,000 MW of storage by 2020 and the utility regulator in Arizona has floated a proposal for 3,000 MW by 2030. Combined, NY ISO, ISO New England and PJM, which extends west to Illinois, could exceed targets in the far west, Chang said. “The drivers for investing in storage in these regions are different,” she said, adding that aggressive renewable portfolio standards accelerate momentum in the west. 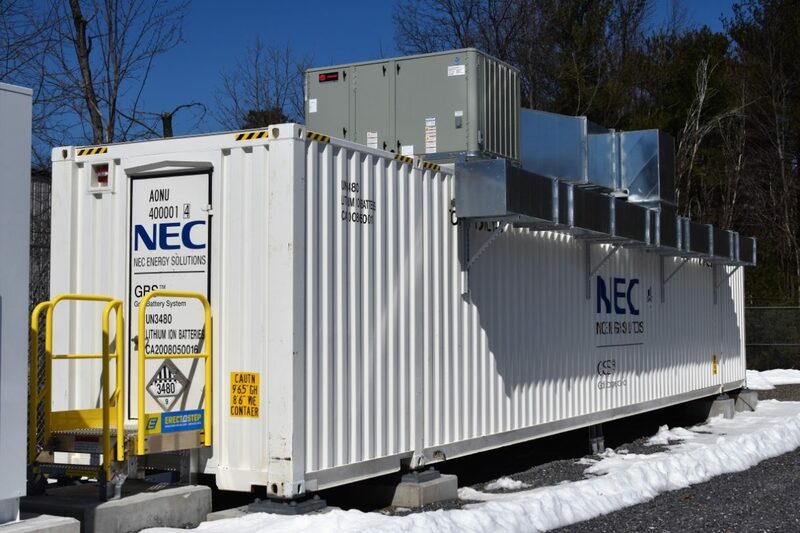 In New England, she added, storage is a draw for high system reliability and for backup power capability to cover shorter outages during winter storms, when natural gas is in short supply.